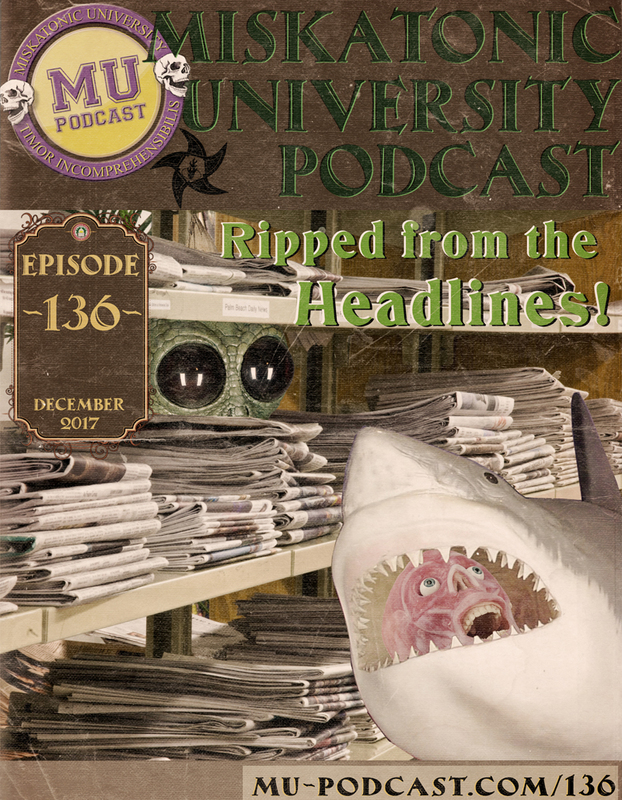 MUP 136 – Ripped from the Headlines! In this episode, Dan, Jon, Murf, and Chad take some recent weird headlines and sow them as scenario seeds. This episode was recorded on December 4, 2017. CoC 7E won another award! This time from Beasts of War! Cubicle 7 and Chaosium have announced that the two are severing the longstanding Call of Cthulhu license agreement at the end of this year. Fantasy Grounds has added Pulp Cthulhu to their list of plugins for the system. Hey, this is Ritterton. Just calling and saying appreciated the campus prior shore episode. It was great listening to some neat things coming out. Just had to call though to make one suggested pronunciation correction. It’s Helena Montana. That’s a pretty common test out here in the west. So again great presentation and great information, always appreciate it. Looking forward to the full show when it comes here in the near future. Take care. Bye. Bye.